How to get your resume ready for a job search! Want a new job? First you’ll need to know how to create a resume that will help you shine. These seven simple steps can help. You’ve decided to start your job search, but you’ve already reached a roadblock: getting your resume ready. On the job hunt, “your resume is your number one ammo,” says Monster career expert Vicki Salemi, who spent more than 15 years in corporate recruiting. When done right, your resume can open the door to your dream job, she notes. With stakes that high, it’s no wonder that a resume refresh also commonly fills people with existential angst. We get it—condensing your entire work history into a perfectly-worded typo-free single-page document that could potentially determine your entire career future is maybe just a little stressful. But what if we told you it doesn’t have to be as daunting as you think? Monster has all kinds of resources to help make the whole process easier. Like you-don’t-have-to-even-lift-a-finger-if-you-don’t-want-to easier. Skip ahead to step six if this sounds like you. But if you’re more of the DIY type, follow the seven steps to a perfect resume below. You’ll be on the interview circuit in no time. Resumes are not “one-size-fits-all.” The format you should use and the information you should highlight depends upon your field, for starters. So you’ll want to structure your resume to fit the industry standard for the job you’re applying to. A quick way to start figuring this out? Check out Monster’s resume templates by industry. Your experience also plays a part in structure. The answer to the age-old question of “how long should my resume be?” is that it depends upon how much time you’ve got under your belt. 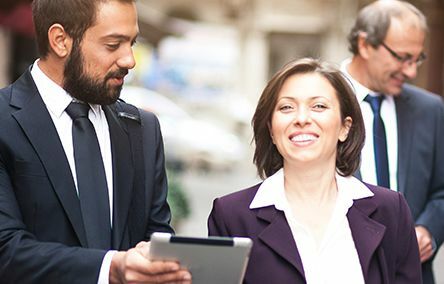 As a general rule of thumb, job seekers with under three years of experience should aim for one page, but those with more years in the field could go up to two. Lastly, there’s the question of chronological (jobs listed in order by date) or functional (jobs listed by relevance). We answer that question in the article “Should you use a chronological or functional resume?” but the gist is that functional typically makes sense unless you’re a job changer, are just starting out or have gaps in your work history. Otherwise, go chrono. No matter the job or industry you’re in, there are a few must-haves for every resume. They are: work experience, job titles, responsibilities, and years worked in each position, Salemi says. Oh, and don’t forget your contact info! Believe it or not, Salemi says she has received resumes that include no way of contacting the candidate. (We think it’s safe to assume those were the people who didn’t get called in for interviews.) While you don’t need to include your home address—Salemi says recruiters may start making assumptions that the commute could be too long for you—you absolutely must include your phone number and email address. When recruiters post jobs, Salemi says, they typically don’t read every resume that comes in—they’ll often start by having their “applicant tracking system” (a fancy name for recruiting software) filter out resumes based on keywords. Those keywords are terms or phrases the hiring manager has deemed to be valuable to the job. So you’ll want to pack your resume with keywords… but you also need to be careful not to go overboard, since a human will hopefully read your resume eventually. Need help coming up with keywords? Take words and phrases directly from the job description—mirroring the ad in order of mention as the hiring manager will typically put the most coveted skill sets at the top, says Salemi. Watch the video below to learn more about using keywords on your resume. Getting past the applicant tracking system is like making it past the semifinals—but your resume still has more hurdles to pass, in the form of those human recruiters who are trying to pick out the best of the best to bring in for interviews. You’ll want to make sure you quantify your achievements to help them see the impact you made. If you had a choice between a candidate who “developed sales leads” and one who “developed 20 new sales leads a week,” wouldn’t you pick the latter? Anything related to time, money or people offers a key opportunity to quantify. Watch the video below about quantifiable achievements to learn more about how to use numbers to make your resume seem more impressive. Just like you wouldn’t show up to a job interview wearing jeggings or a suit with super-wide lapels, you don’t want your resume to appear inappropriate or out-of-date. 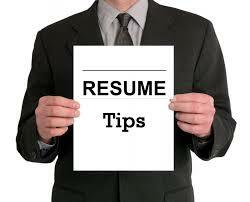 And check out this list of other missteps that make your resume look like a dinosaur. It’s not all about taking out the trash. You can make yourself seem a little less square if you add in some hyperlinks, your social media handles (if SFW), and a splash of color. If you’ve gotten this far in your resume makeover, it’s time to give your eyes a break. You’ve probably spent way too much time staring at the document on your screen checking for misspelled words and other typos that it no longer even reads like English to you anymore. It’s time to bring in a second pair of eyes to give your resume a once-over. First option: Call in a mentor or a fellow job-seeking friend for whom you can do the same solid. Second and even better option: You can get a resume critique for free (seriously!) from the experts behind Monster’s resume writing service. An actual resume specialist will review your doc, and, within a couple of days, provide an evaluation on ways you can improve your resume so that it will get through the robots and stand out to hiring managers. Alternatively, for a fee that ranges from $129 to $349, those experts will actually write your resume for you; packages vary and can include cover letter and LinkedIn profile writing, too. Tempting, right? Ever wonder why some people just get called by recruiters about jobs and why you’re not one of them? Well, every day, recruiters search Monster’s resume database for candidates for jobs that aren’t even posted. By uploading your resume, you can be one of those people who gets found by a recruiter. Also, uploading your resume will help make your application process easier when you start applying to jobs on Monster. By having your resume already in our system, applying can be as easy as hitting the “Apply” button.